The lack of self confidence, the pressure to perform at a high level, life beating you up, all of this can make it extremely hard to have a strong belief system. I am here today to say, it is time for a shift in our lives. You and I have the greatest opportunity in the world to make a difference. Wherever you are on this earth reading this, it is time to take our self confidence to another level. There is no more time for you and I to say we cannot do something. There is no more time for taking the back seat to life. 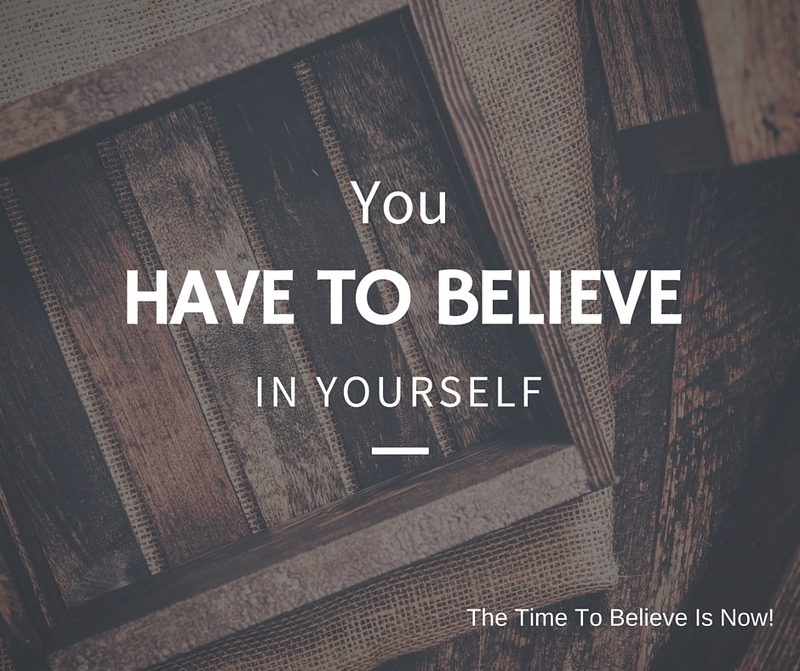 We have to believe and the time to start believing is now. Throughout my life, I fought against myself. In fact, my biggest competitor has always been the person I look at in the mirror each day. Some of my friends would say to me, “J Scott, you are your biggest critic and you’re too hard on yourself.” I appreciated my friends sharing this with me but what they failed to understand, I had to be this way. There were many moments throughout my life where people didn’t believe in me. People told me I couldn’t do what I was wanting to accomplish in life. I had to dig deep inside and find self motivation and an inner drive. I had to find a way to believe. I don’t know where you are on your journey in life. What I do know is at some point you and I both battle with having the confidence we need to be who we are suppose to be. I have come to learn and understand, when I have great confidence in myself I usually do a much better job compared to when I lack confidence. I may not be the best speaker, the best teacher, the best leader, but the fact I believe in myself, helps me to understand that I can be confident in who God made me to be. I do bring something valuable to the table, I do have something to offer, I am worth listening to. Confidence is something I believe God wants you and I to have. If you think about it, usually, lack of confidence stems from having fear. God did not make us to live life on earth in fear. He has given us power to overcome our fears. Imagine, if you and I became a fearless warrior toward our passions and gifts. Imagine the lives we can touch. Imagine the people we can help grow and overcome their fears. I’m getting excited knowing the possibilities that are heading our way all because we have decided to believe in ourselves. Write encouraging notes all around your house. Tackle something you’ve been afraid to do. Get around people who are immersed in self confidence. P.S. What are some ways you have built confidence in your life? Leave a comment below and don’t forget to share this on your social media with your friends and family. Previous postGod, Why Is It Hard to Love You? Next postGive Her A Ring Or Move On! This is what I have an issue with. Im almost 23,just graduated college, and still trying to find what is right for me. I have a job, but it because i dont thrive in it I know its temporary. I realize I can’t see myself working for a company forever. I am a dreamer or a visionary. I have prayed to God to give me vision. I have asked God to give me everything literally, and in doing that I became overwhelmed. Scared and too lazy to make steps towards my different passions. Because of how much vision I have, I can’t narrow it and I dont know where to start. I love so many different things but for some reason I never do anything towards them, I dont know whats wrong with me. I dont know how to change it, even though I know I am the only one who can change it. Its weird, like ill all these ideas of different things I can create, but its like im stuck at the vison.